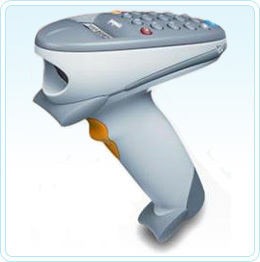 Cordless barcode scanners have a base that is connected to your PC or terminal via USB or some other interface cable (RS-232, Wyse, DEC, Apple etc). A power supply is also connected to the base on most models although some like the LS4278 can charge via the USB connection. The cordless scanner is then cable free so the operator can roam up to 15 metres away from the base depending on the environment. The Motorola LS4278 is an aggressive raster or fixed line laser scanner great for situations where a cable gets in the way and reduces your mobility. 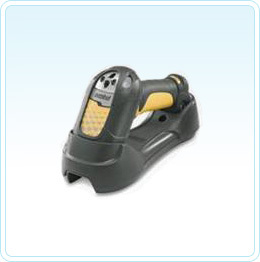 Ideal for retail applications such as hardware stores and scan pack applications in warehouses. With a range from the base of up to 15 metres and the ability to read all 1D and RSS barcodes this scanner is great value for money. When the LS4278 just isn't tough enough for your environment, the Motorola LS3578 is the perfect choice. With an IP rating of 65 and a 2 metre drop to concrete specification, this scanner is ideal for any industrial application or nursery point of sale check out since a little splash or water isn't going to make any difference. 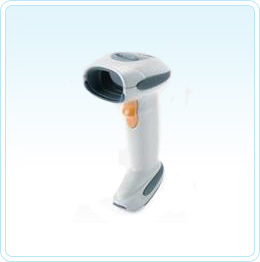 When you need a tough barcode reader and want to stand up to 13.7 metres away from your barcode (it has to be a large barcode), not to mention standing up to 45 metres away from the base station, then this is the hand held wireless scanner for your application! 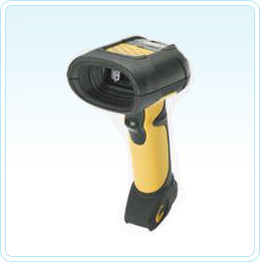 An 'Extended Range' laser scanner also gives you a great reading distance on normal barcodes as well. The Motorola DS3478 is a digital imager scanner. Unlike the LS3578 which is a single line laser beam the imager is capable of reading 2D barcodes and 1D barcodes from any orientation. The Motorola P370 is a wireless barcode terminal with a 2 line LCD display and a keypad. This means you can stand up to 45 metres away from the base and scan a barcode and key in a count straight into your application. The P370 is a rugged (industrial) version while the P470 is a retail based scanner. The P470 offers the same scanning performance and wireless range as the P370 but in a less rugged device. Ideal for retail stores, chemists and any non-warehouse environment. The P370 and P470 are wireless RF scanners and do not have a memory and cannot be used as batch scanners for stocktake applications.